I've not spent a huge amount of time reading lately, however a couple of weeks ago, I found myself in a bookshop with some time to spare, and a terrible thing happened! I looked around. There were so many books. And I became overwhelmed by the options. After half an hour, I ended up with one book. ONE. 1. 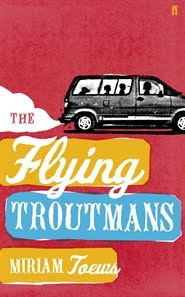 The Flying Troutmans. I'll admit, I liked the cover. Though I'd never heard about this book, it is apparently a best seller (although generally speaking that's no indicator of quality: The Da Vinci Code, anyone? ), and was nominated for an Orange Prize. I was quite pleased to learn these things, because it means that perhaps in spite of being overwhelmed by all the books, I am still able to pick one out that is not too bad. The problem though, is that I still haven't finished it because I'm only able to read it in short snatches before it starts to annoy me. I agree with this review. It has become my toilet book (don't judge ok, I know lots of people who do it, so just shut up). Next time I'm in search of a life-changing-road-trip kind of story, I shall seek out something by Marina Lewycka. 2. 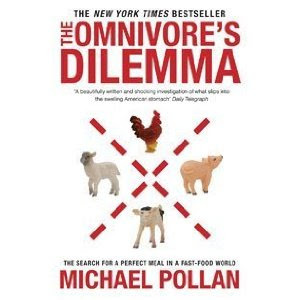 The Omnivore's Dilemma. I have yet to start reading, but I have wanted this book for some time. I didn't watch Food Inc and I'm too poor to buy organic. I like listening to Michael Pollan though, because he is convincing without being preachy. He does interviews on NPR's The Splendid Table (the show for people who love to eat) from time to time, and I find him very interesting. Also, I liked the little animals on the cover... I have heard mixed things about his writing style, so we shall see how it goes...I'm hoping that I enjoy it, because then I can invest in his other books safe in the knowledge that I will enjoy those also (See above: overwhelmed by choices). 4. Sense and Sensibility and Sea Monsters. Currently languishing. I have read the first three pages about 5 times now and it's just not working for me. Yeah, I don't know what I was thinking. A Jane Austen mashup. Pffft. I am considering buying a Kindle, but I'm just not sure. Part of the pleasure of reading, surely, is the feeling of pages turning. And I really love old books, with their old book smell (I think they smell like chocolate, in a way). On the other hand though, I could read chick lit on the train without feeling as though my street-cred is at stake. Not that I have any street-cred, but you know what I mean. Ellie! 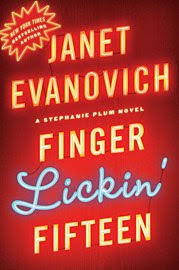 You will love the covers of Marina Lewyckas books! I read A Short History of Tractors in Ukrainian (in Swedish, though) just because of it, and liked it. Kram! I love the covers of her books, but so often when you buy a book for the cover, it's crap. I'm glad hers live up to the promise!